David's walk will depart promptly at 6:30 from the year-round trailhead. Walks can generally last for a few hours, but the pace is set by those attending. 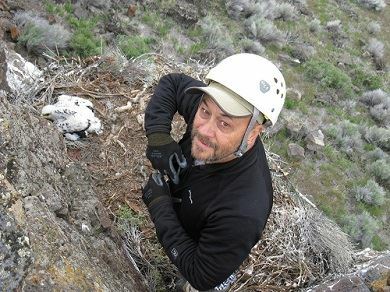 David Leal has been a wildlife biologist with the Federal Government for 25 years and with the U.S. Fish and Wildlife Service for 21 years. Currently, David works in a share position working primarily with the Western Golden Eagle Team developing conservation tools for eagles and renewable energy development. David has a B.S. in Wildlife Management from Humboldt State University and M.S. in Wildlife Science from New Mexico State University. His thesis involved bird and habitat associations in the Rio Grande riparian corridor of New Mexico.